Some of you may have seen me take a few laps on the Dahon Mu EX between races at the Ballard crit this weekend. 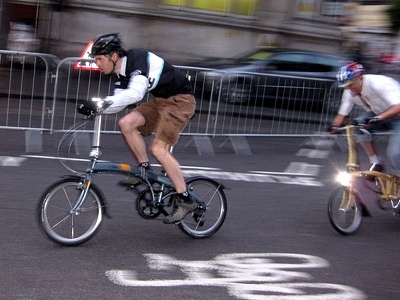 While I was doing that, a real folding bike race was going on in London – the annual Smithfield Nocturne. Also see the Brompton World Championships.